Bouquets of scarlet poinsettia sparkle with silver jewels. Framed by lush velvet ribbon and frosted crystal sprays. White lights glitter in a flocked tree decorated with red, white and silver baubles. The mood is classic sophistication. Some colour combinations just sing and this combination of white, red and silver does just that. This grouping of three Christmas trees stands in the centre of the store and is a focal point for the shop. Each tree showcases different products but works together as a whole. The front of our 10ft flocked tree is decked with floristry. If your’re working with a limited palette it’s important to pick the correct shades. A deep red colour such as scarlet has a real intensity and looks beautiful against white and green. 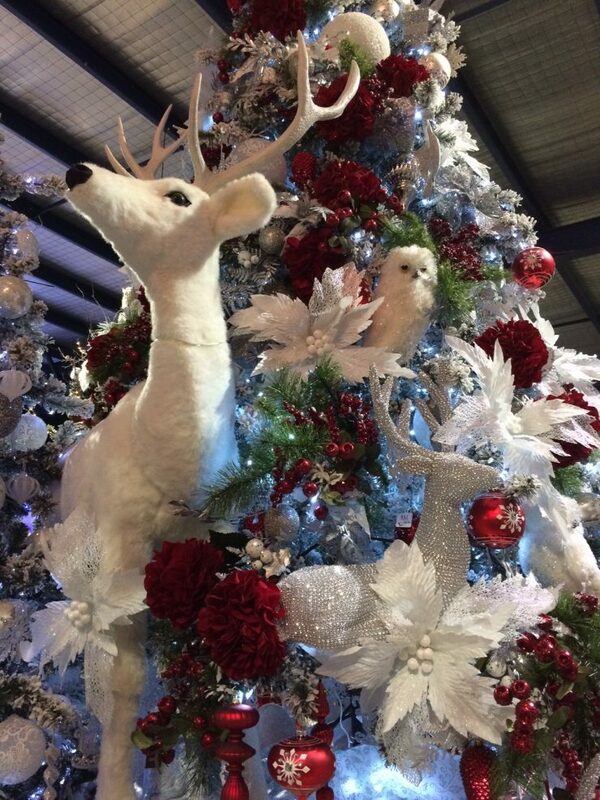 The back of this tree is filled with silver and white, choose larger decorations to fill the space. The middle tree is covered with diamanté and crystal sprays. The idea was to create a ‘weeping willow’ that cascades and catches the light. You don’t have to cover the whole tree select one section to decorate. The smaller tree features a mix of budget decs with expensive glass baubles. It’s a more minimal look but still effective because only silver and white are used. 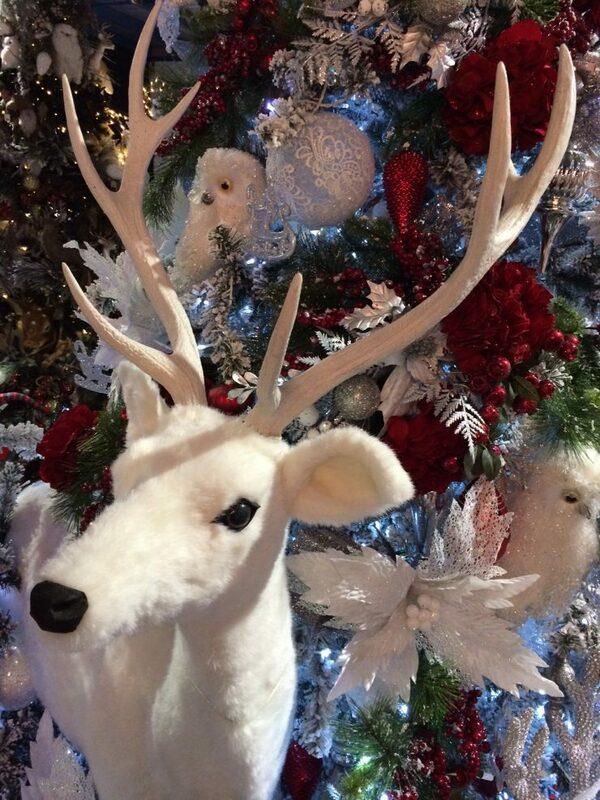 Of course the lifelike animals like the white reindeer, white husky and arctic fox add the wow factor. But, you can also introduce white owls, peacocks and birds to personalise your own tree.